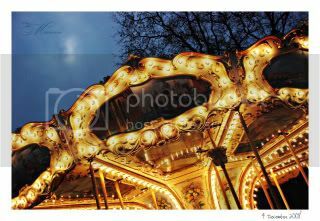 Yesterday I passed an old carousel in town and the lights were so pretty against the dark blue sky. Today has been a migraine day so the least thing I wanted, or could, do was to go out on a photographic adventure. 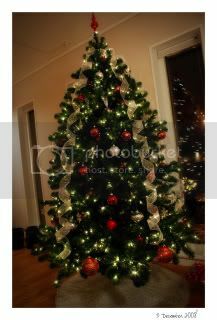 So today's picture is a quick snapshot of our newly set up tree. I am loving your photos. They are great.